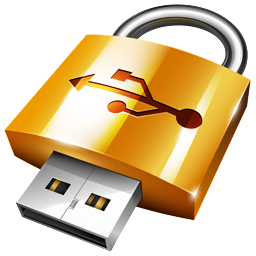 GiliSoft USB Lock is a data leak prevention tool that prevents leakage and copy of your data to USB Drives (Android phone/iPhone), External Drives, CDs/DVDs or other such portable devices. 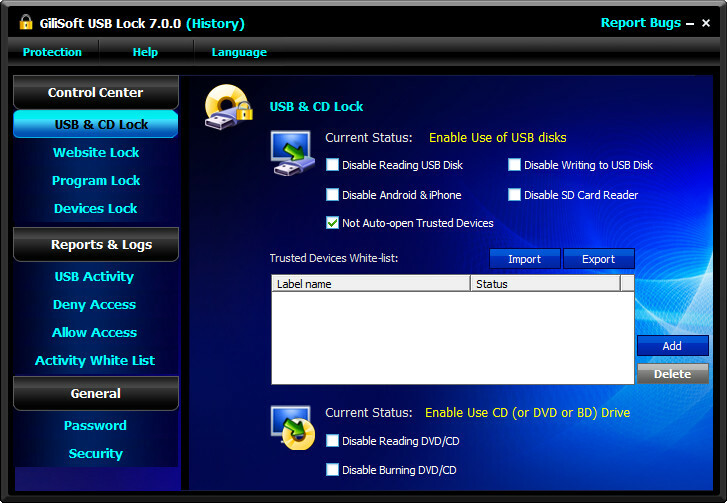 Once installed, USB Lock lets you block all such drives and devices that do not belong to you. USB Lock can stop stealing or hacking and you can share your PC with anyone without fear of data theft. This is an easy USB Secure Software and powerful Endpoint DLP Suite that helps you to lock usb port,make dvd/cd burner read-only, block some websites, forbid some programs and disable more devices. For the convenience of enterprise users to deploy, or secondary development, we also provide the command-line version, please contact us if you need. Block running any programs, including IE, Outlook, AOL, AIM, Dropbox, and more. You can even lock your control panel with one button click. Nobody can uninstall this software without password and you can hide this program in Invisible Mode. When someone enters wrong password more than 5 times, it will send alarm notifications to your pre-defined e-mail and the unknown login will be temporarily banned.